Do you love giving gifts that have a more personal touch to them? Giving a gift that is personalized is thoughtful and keepsake the recipient can keep for many years. MyFairytaleBooks.com offers many items for little ones that you can personalize. Books, CD’s, DVD’s, Placemats and more. Be sure to read Kristin’s review of MyFairytaleBooks.com and find out all the items you can pick up this holiday season. 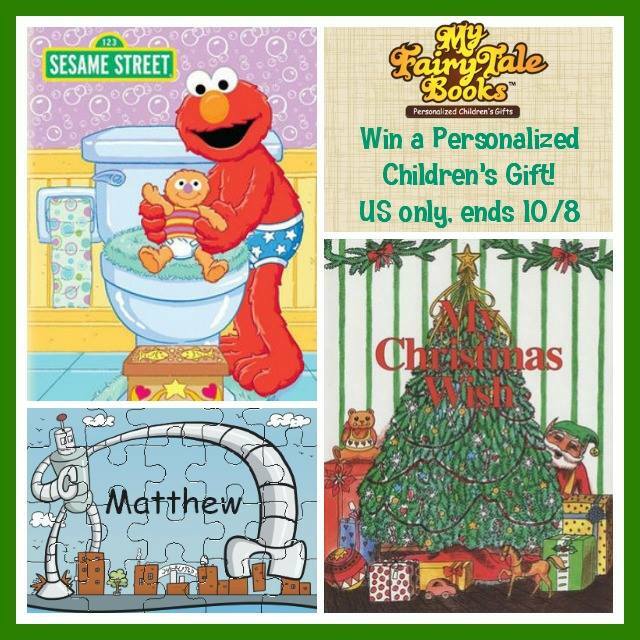 Thanks to MyFairytalebooks.com, It’s Free At Last and other amazing bloggers, one reader will win a personalized gift of their choice from Myfairytalebooks.com (Excluding gift sets)! One lucky one reader will win a personalized gift of their choice from Myfairytalebooks.com (Excluding gift sets)! Giveaway ends Oct 08, 2014 at 11:59 pm ET! Open to US residents 18+ and older. Remember to come back to complete the daily entries! i like the ballerina princess !! ! I like the personalized princess castle puzzle.